Whew! The title of this post is a bit of a mouthful, but I'm afraid I used all of my imagination up on the manicure itself so it's stuck with a boring name. I'm really chuffed with today's manicure - it's my first attempt at freehand animal print and it came out so much better than I expected! My plan was to do a rainbow manicure of some sort but jazz it up a bit. I took inspiration from this design, but as it's spring I decided to use pastel colours instead of neon. Short version? I began with a white base because pastels can be a bit sheer. I then painted on five different pastel colours in diagonal lines on my nails using the brush that came with each polish - I did this twice to build up opacity. 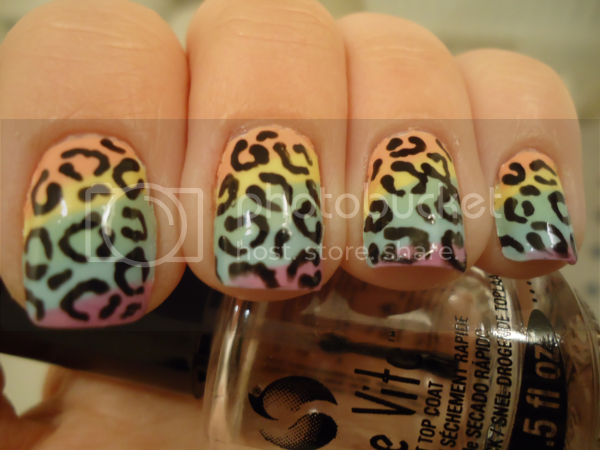 Once it was dry, I used a black nail art pen to freehand broken O and C shapes. 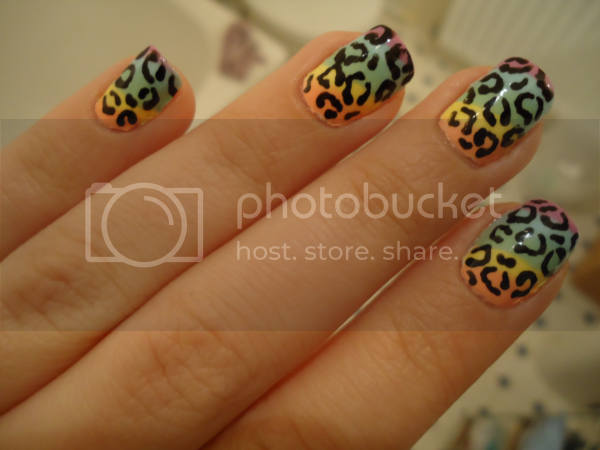 This was much easier than I expected as they actually look more authentic if they're not perfect, and the cheetah print has the added bonus of hiding any imperfections in the colour gradient background. 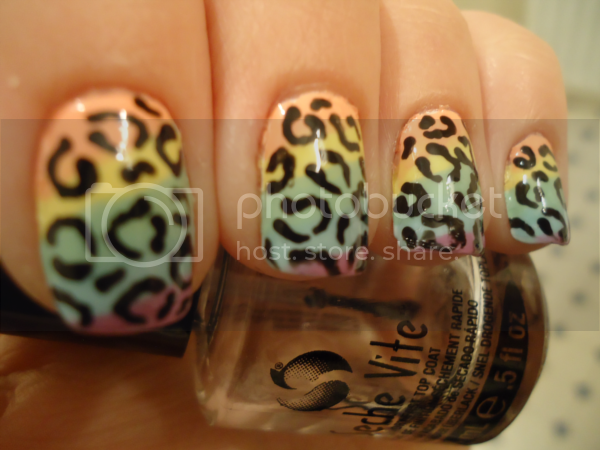 It just goes to show how easy nail art can be. Even a couple of weeks ago I never dreamed I'd be able to create something as eye-catching as this, but it turned out to be dead easy! Not to worry you or anything, but I may have caught the animal print bug...and I'm pretty sure it's contagious.